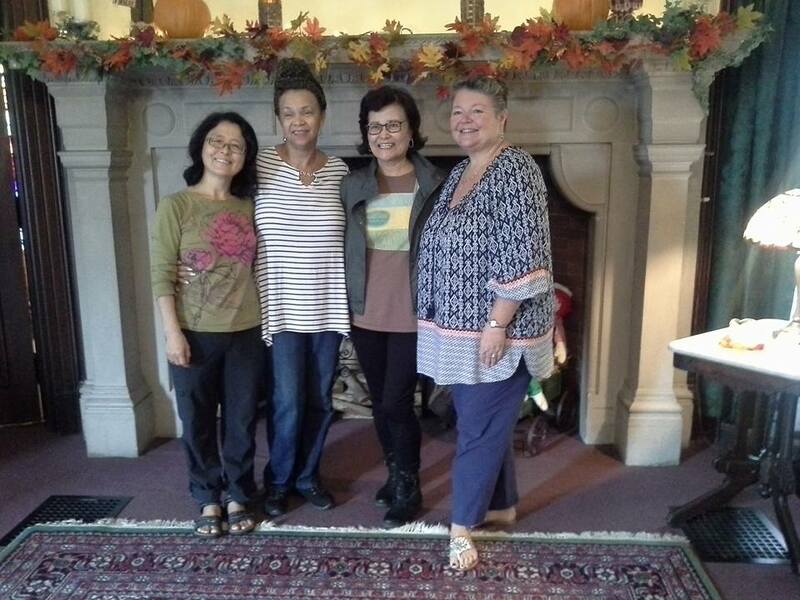 Left to right - Rene Pak, Loraine Priestley-Smith, Sunghee Park, and Diane Gilbert. Diane Gilbert of Kynett UMC in Beach Haven, Rene Pak, Faith Community UMC in Bayville, Sunghee Park of Belford UMC and First UMC in Keansburg, and facilitator, Loraine Priestley-Smith of First UMC in Freehold made up a PaCE group designed around healing, health and wholeness for body, mind and spirit for personal and professional growth in 2016. PaCE, which stands for Pursuing Clergy Excellence is peer learning resourcing offered by GNJ to help pastors be better pastors with other pastors. This group studied Parker Palmer’s book, A Hidden Wholeness and Joyce Rupp’s book The Cup of Our Life. The highlight of the year was the four-day retreat made possible by grant money from GNJ to allow pastors to pursue their learning goals. Spiritual health, healing, and wholeness was the theme of the retreat which allowed for spiritual direction, and opportunities to play with a variety of spiritual disciplines including walking the labyrinth, coloring mandalas, choosing doors, praying to the sounds of music, journaling questions, reading poetry, sharing together and learning about mudras (praying with life energy). Click here to find out more about PaCE.